A big part of creating Web Applications is to write code. We spend a lot of time in text editor and therefore it has to be an extension of ourselves. We each have our own preference at Code Genome. Some of us like to use textmate, while others prefer emacs or a full IDE like RubyMine. efficiently edit and navigate my source code. VIM has a steep learning curve. Based on personal experience, it can be very intimidating at first. I know first hand, as I have failed a couple of times prior to switching from textmate. 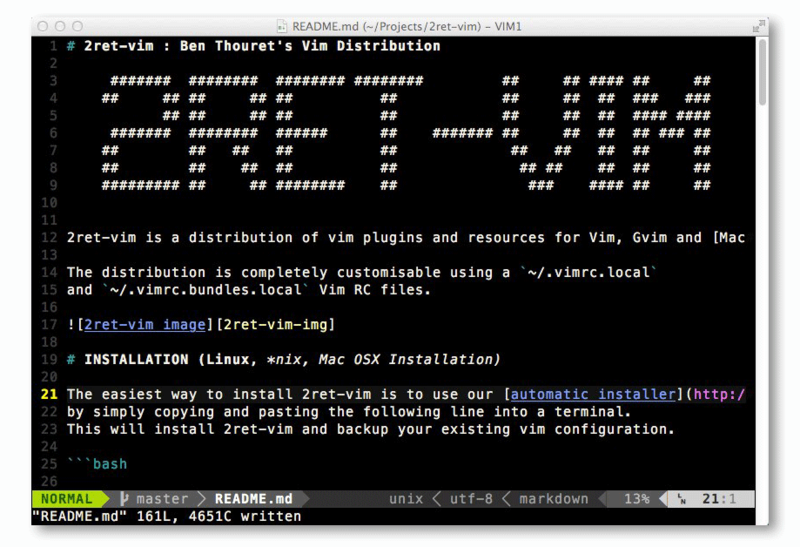 Thankfully, one day you eventually get the right tutorials and VIM configuration (.vimrc) and before long, you find yourself navigating better through your files, and you start to remember more and more shortcuts and keys. Code Génome participe au Samedi de la PME. © 2019 Code Génome Inc.